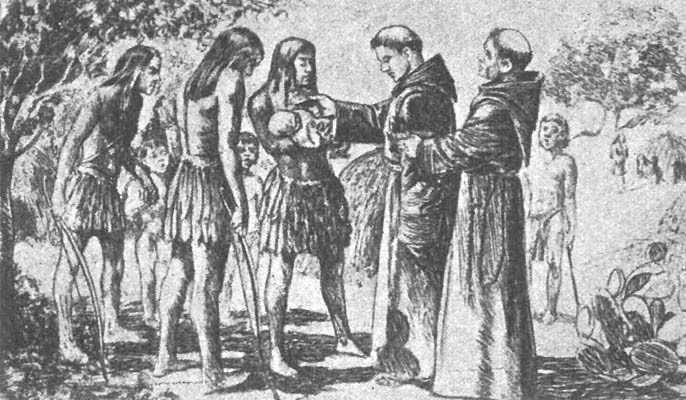 "Junípero Serra’s pious hope to convert pagan Indians into Catholic Spaniards resulted not only in the physical punishment of countless Indians, but in the death of tens of thousands of them—and, ultimately, in the eradication of their culture." "But California Indians were doomed anyway. “If it were not the Spaniards who did this in conjunction with the church, it would have been the Russians or the British, and the same thing or worse would have happened,” he says. While this might be true—many historians regard the Spanish era as less calamitous for Indians than the Mexican era or, certainly, the openly genocidal American era—being the least awful of an awful lot is hardly a ringing endorsement for anything, let alone Sainthood." California Indians were doomed anyway. “If it were not the Spaniards who did this in conjunction with the church, it would have been the Russians or the British, and the same thing or worse would have happened,” he says. While this might be true—many historians regard the Spanish era as less calamitous for Indians than the Mexican era or, certainly, the openly genocidal American era—being the least awful of an awful lot is hardly a ringing endorsement for anything, let alone sainthood. - See more at: http://www.modernluxury.com/san-francisco/story/junipero-serras-missions-destroyed-entire-native-cultures-and-now-hes-going-be-s#sthash.6A5sl3WE.dpuf"